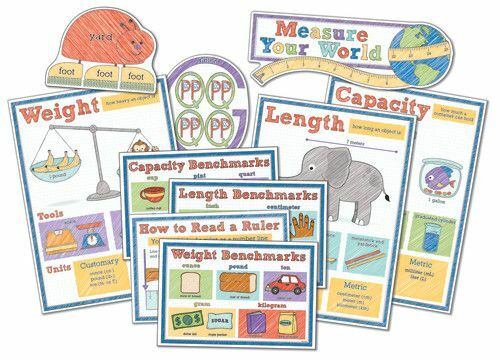 Reinforce measurement concepts with this anchor chart-style teaching décor. 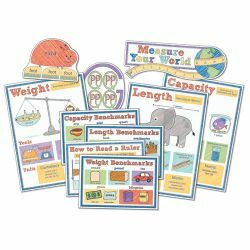 This anchor chart-style bulletin board set provides clear and organized definitions, examples, tools, and units for measuring length, weight, and capacity. Curriculum-based bulletin boards for classrooms allow you to use valuable wall space for presenting important concepts year-round. These essential sets will appeal to your students while offering standards-based content and daily reinforcement. Be sure to look for coordinating products to create a cohesive classroom theme.